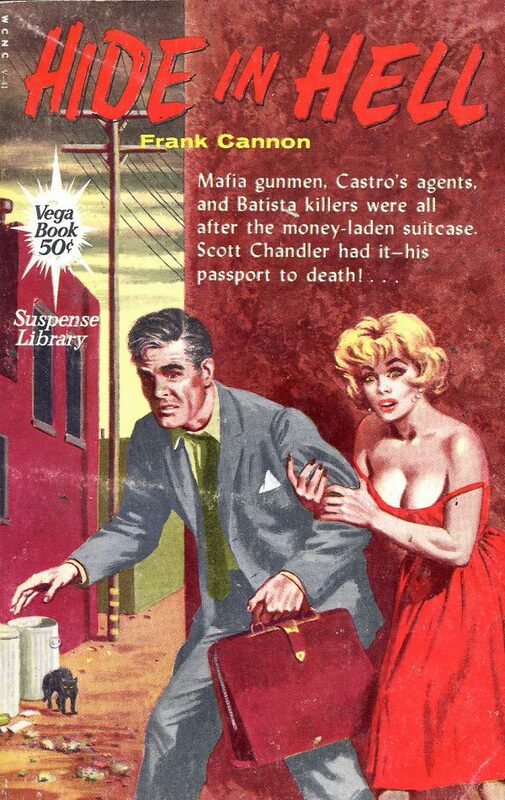 Mafia gunmen, Castro’s agents, and Batista killers were all after the money-laden suitcase. Scott Chandler had it — his passport to death! I love the added tension of the terrified cat–another great cover telling a great story behind the story.